Restrict your account by limiting the amount of money you can bet with them. Instead of being able to bet £50 you will be able to bet maximum £0.50 stakes for example. Close your account completely by sending any funds in your account back to your bank account. You will usually be made aware of such instances via email. To receive any of these restrictions is what is known as being gubbed. You may think it is probably every matched bettor’s worst nightmare but thankfully there are many other ways to still make money once you have had your matched betting accounts restricted. Yes, there are ways to make money without free bets, and even with reduced stakes you can still make money from matched betting every month. You can decrease your chances of having your accounts from a gubbing which is a good thing. You can place many mug bets where you make yourself look like the average gambler who will gamble away his last £20 on his favourite football team. By creating betting patterns like these, you will make yourself look like a bookmaker’s dream by taking hardly any value and losing all your money. Of course every time you place a mug bet, you must lay off at the exchange so you aren’t actually gambling and instead making your account open for longer. Even placing small value accumulators is another good strategy. If you make £50 on a reload offer, you can afford to place a £1 accumulator. Just pick several teams and see if it comes in. It is worth spending £1 in attempt to keep your betting account open for longer. If that same account makes you £600 a year, losing just £20 a year on the same account isn’t going to hurt too much. If you take part in every single offer the bookmaker gives you and you take all the priceboosts and price enhancements, the bookies will take a disliking to you and more than likely restrict your account. So do the free bet promotions but don’t do every single offer that is in existence. This will make you look less of a matched bettor and more of a mug punter. So these are the two best ways to prevent your accounts from receiving a gubbing. Sadly there is no “one size fits all” when it comes to keeping your accounts open for longer. What you should be thinking of is “how will it look to the bookmaker if I place this bet” every time you place a bet. If you think the bookie will take a dim view to what you are doing, then refrain from placing the bet. One thing I used to do is bet on my favourite team whenever they played. I placed a £20 bet on Manchester United to win whenever they were playing. I’ll never know for sure but I’m confident that at the time, this made me look like a mug punter when I did this and probably kept my account open for much longer than if I didn’t do this. If you do get gubbed, don’t attempt to keep placing mug bets on the gubbed account. Just accept that once your account is gubbed, it is gubbed and there is nothing you can do about it. I am yet to hear a story about someone who has a gubbed account and suddenly having the restrictions lifted. It simply doesn’t happen and I would just accept it and move on. Instead of being upset about your gubbed account, put your efforts into taking value from your many other matched betting accounts and make money on those. You can also make money from your gubbed accounts which is awesome! Most people believe that once you are gubbed, there is nothing else you can do to make money from the account. However you totally can. You can do arbitrage, dutching, each way betting and plenty other strategies to keep making money from gubbed matched betting accounts. If you do receive the dreaded gubbing email, don’t request to close your account. Keep it open! You more than likely cannot take part in the free bets offers anymore but you can still make money from it. To close the account is silly, so keep it open and keep trying to extract what profit you can from it. Of course with some bookmakers, they may just close your account as soon as you are gubbed. This happened to me with Winner and Titanbet, who funny enough are the same company but I took plenty of value from both those accounts so I won’t lose too much sleep from it. So if you on the beginning of your matched betting journey, be aware that receiving a gubbing is not uncommon and is simply part of the matched betting game. You should control the parts you can and accept that being the most careful matched bettor ever, your account is still susceptible to receiving a gubbing. A gubbing is simply receiving a restriction on your account which affects your ability to profit from it in one way or another. It is not the end of the world and you can still make money from the gubbed account so don’t become too disheartened and simply move on. 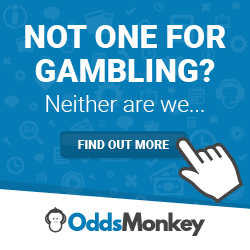 There are many ways to keep your accounts open and the matched betting forum at Oddsmonkey is full of great ideas at how to keep your accounts from receiving a gubbing. The bookmakers are out to make a profit for themselves as they are running a business. So if 10,000 matched bettors keep taking too much value, it would certainly affect their profit margins so it makes sense that accounts do get gubbed. If you are an avid sports fan, you won’t be able to escape the marketing efforts by the bookies as they are everywhere. This shows that they do make money and sadly gubbing their customers is one way they maintain their margins and keep their businesses open. For us matched bettors, this is part of the game and we can still make plenty of profit elsewhere. Matched betting payment methods – which one to use?